Here's a fun way to have healthier snacks available for my family. I know some munchkins who would be happy to both prepare and munch on their culinary creation. From A Little House By The Big Woods. 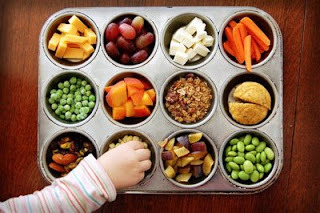 More muffin tin snack inspiration at My Happy Little Life.